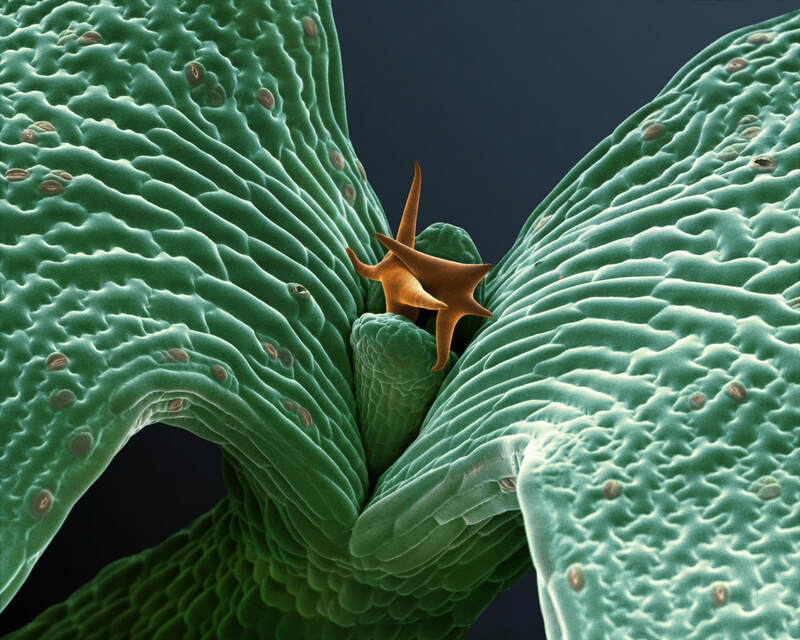 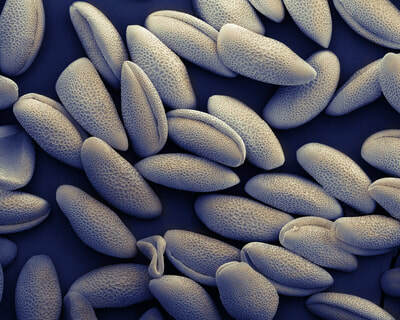 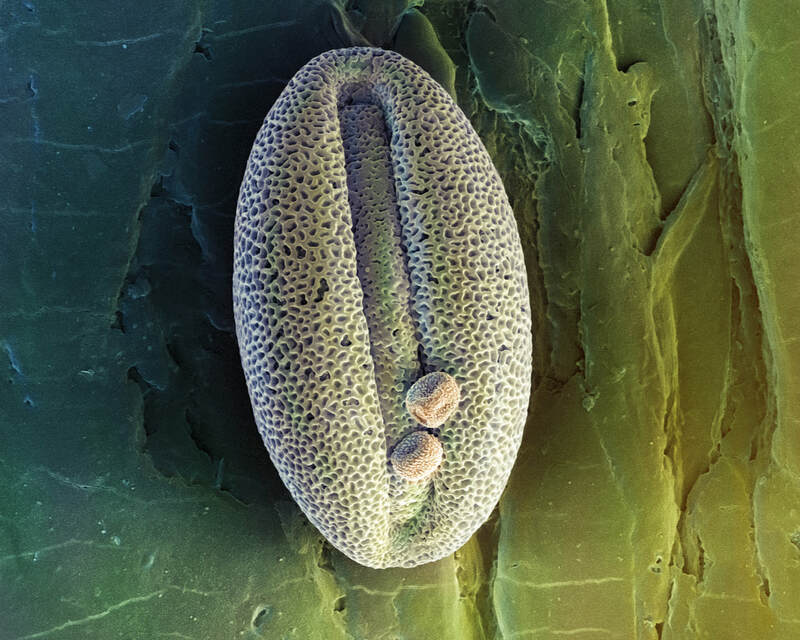 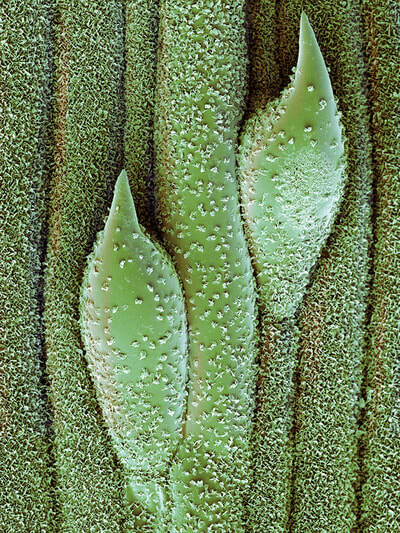 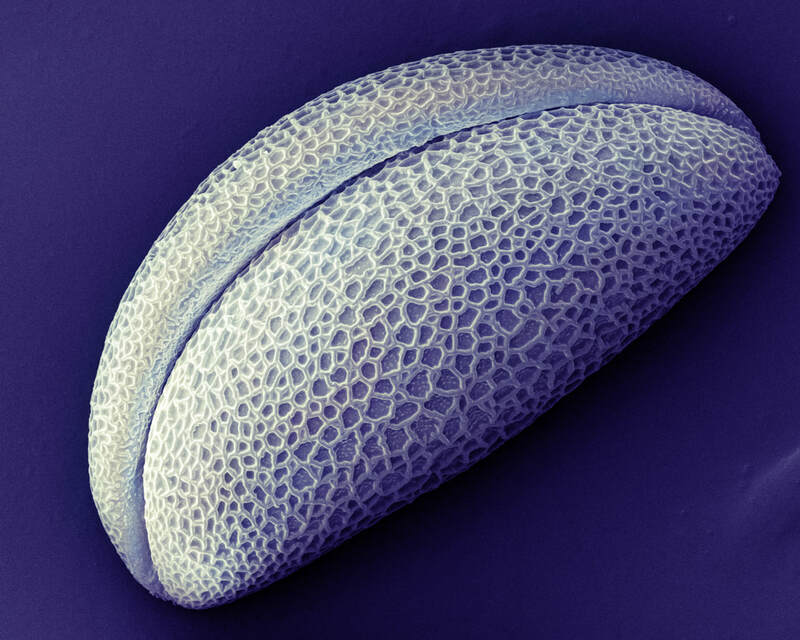 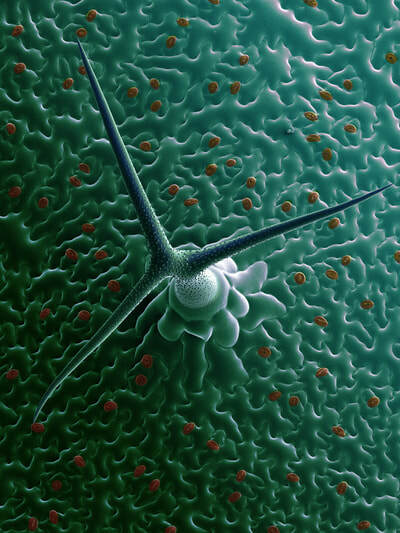 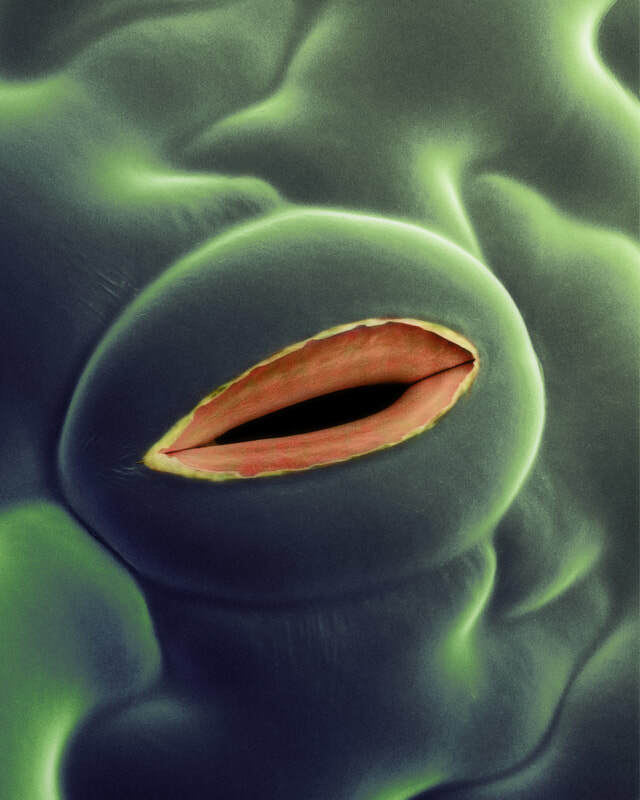 Adriaan van Aelst worked at Wageningen University as head of the WEMC department (Wageningen Electron Microscopy Center) and has been taking photographs of a large collection of plant preparations in 'cryo' conditions, i.e. 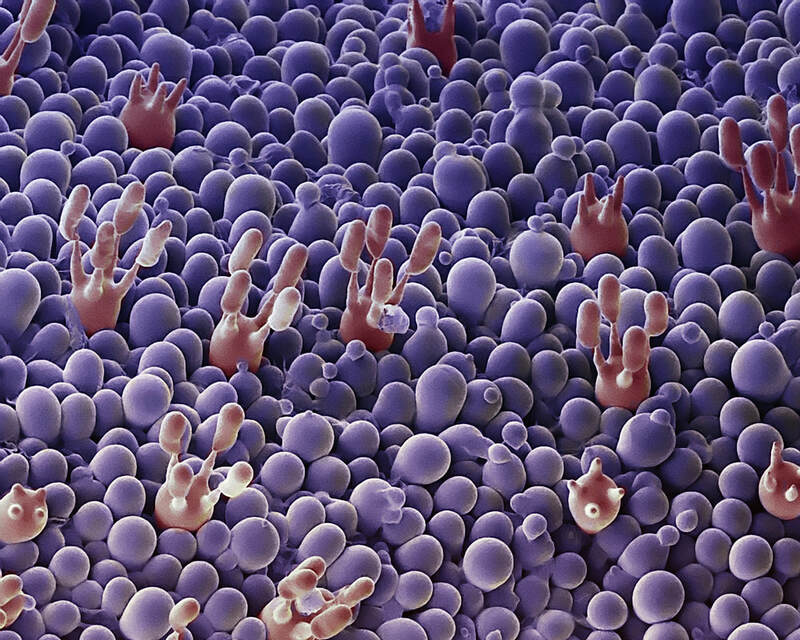 temperatures below -180°C, using an Scanning Electron Microscope (SEM). 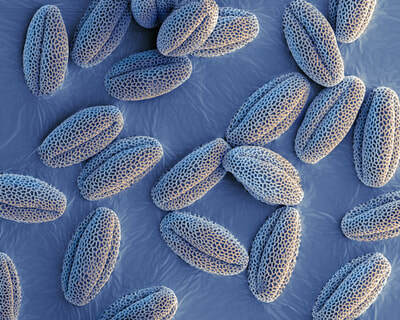 Plants and plant parts are very rich in water and owe their form mainly to the presence of water. 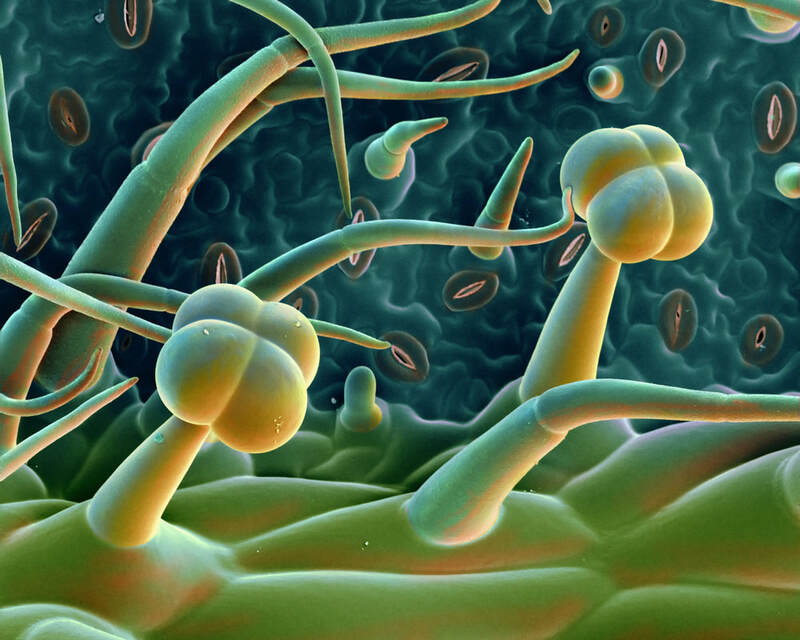 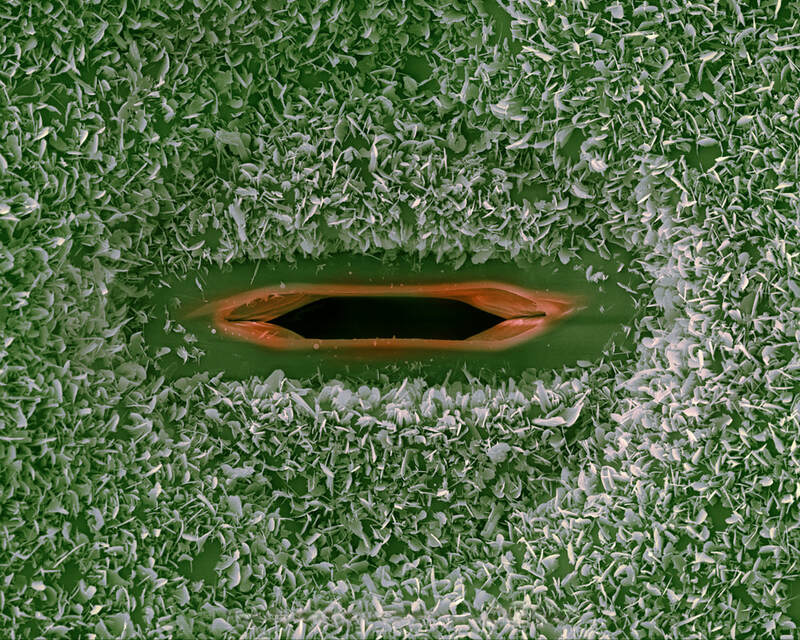 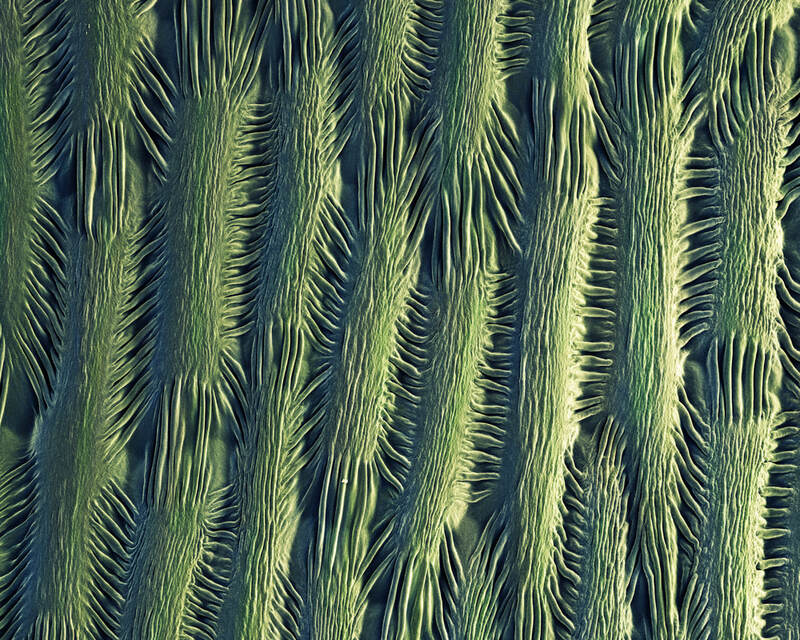 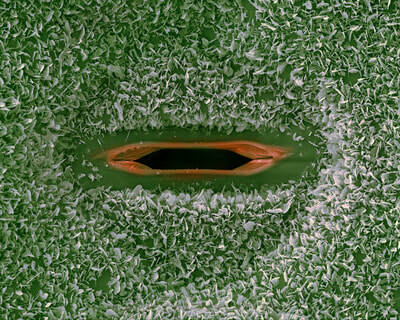 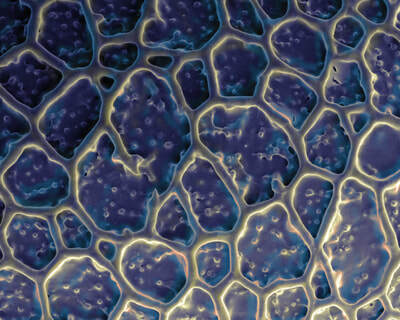 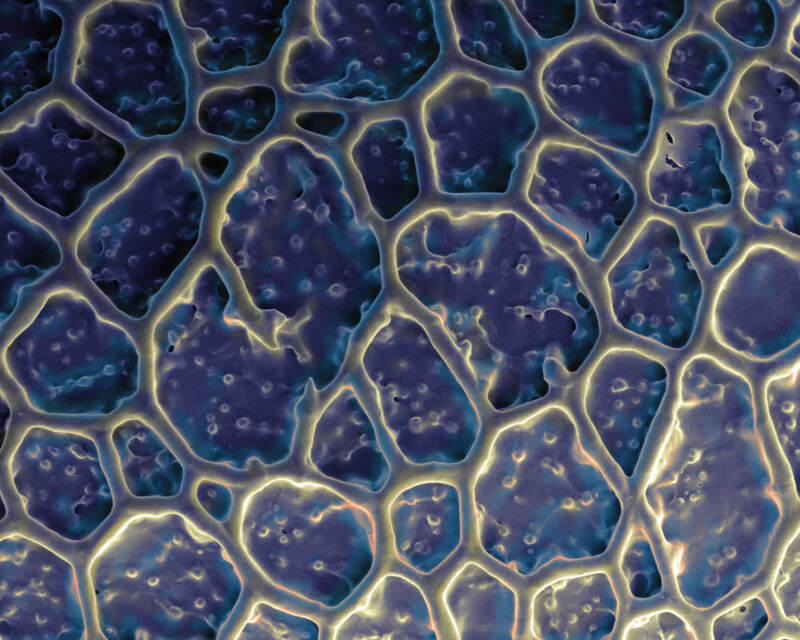 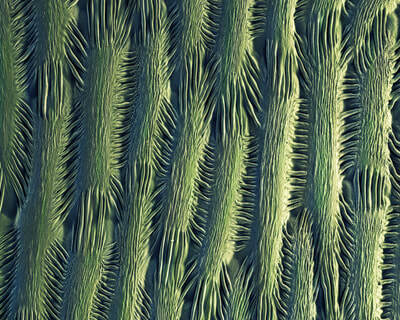 Normal SEM photographs are made of dried samples with a damped coating of metal and therefor loose their original form. 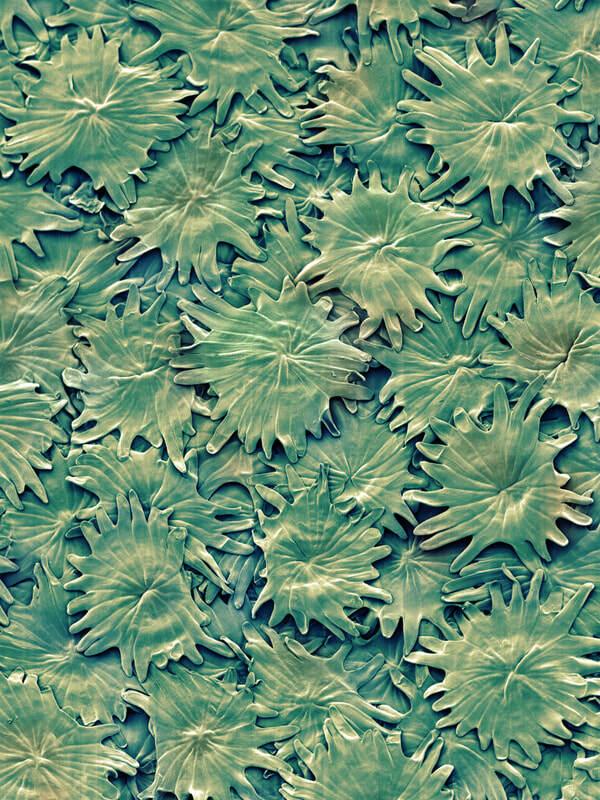 With the aid of the 'cryo' technique, the preparations are able to retain their natural form, even on a nanometre scale. 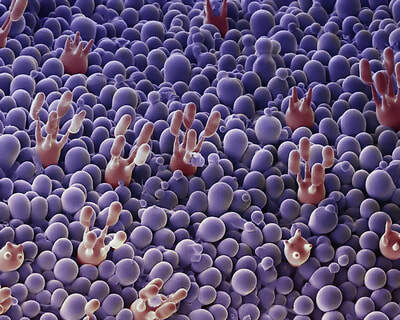 All SEM photographs are originally black and white but often color is added to emphasize different parts. 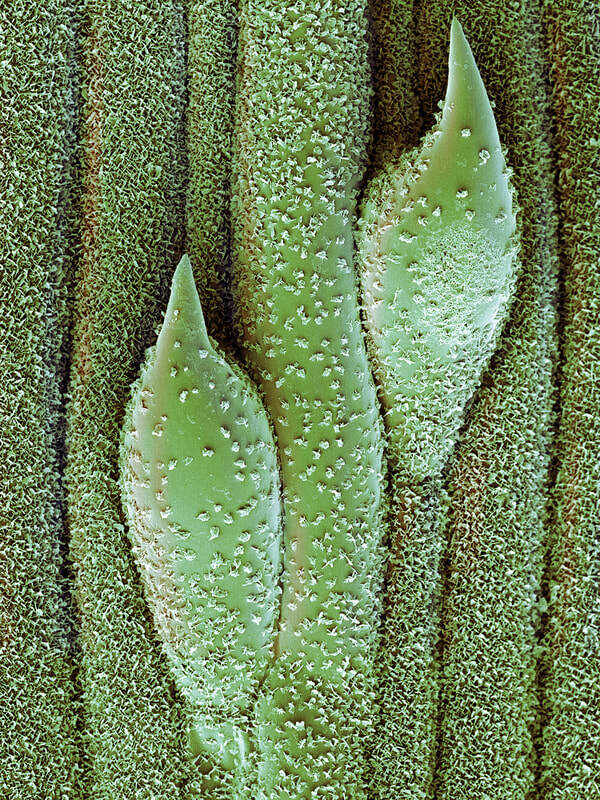 A number of attractive plant structures was selected for the Tropistic 'Photosynthesis' exhibition, which Robin Noorda subsequently colored.